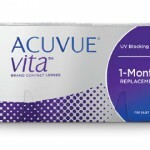 Acuvue Vita for Astigmatism is the market’s newest monthly contact lens for astigmatism (toric contact lens). 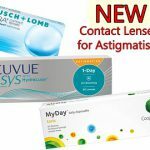 Made by Johnson & Johnson, one of the most reputable contact lens manufacturers in the world, Acuvue Vita for Astigmatism expands the number of options for premium toric contact lens wearers who have previously been restricted to only a few brands. Who is Acuvue Vita for Astigmatism For? 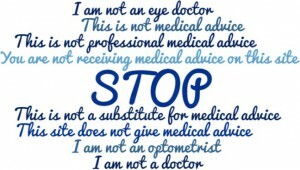 First and foremost, it’s for people with astigmatism. Considering how common astigmatism is, Acuvue Vita for Astigmatism is for a lot more people that one may think. 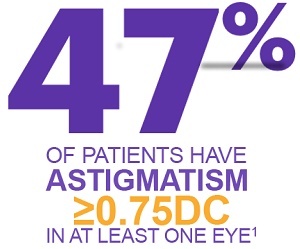 According to Johnson & Johnson, 47% of people have astigmatism of at least -0.75D in at least one eye. That qualifies them to wear toric contact lenses such as Acuvue Vita for Astigmatism. Secondly, Acuvue Vita for Astigmatism is for anyone who currently experiences distracting fluctuations with their current brand of toric contact lenses. Acuvue Vita for Astigmatism has been developed with patented technology to drastically reduce the occurrence of unwanted contact lens rotations which lead to blurry vision. And lastly, Acuvue Vita for Astigmatism is or anyone who wants to wear a monthly toric contact lens that stays comfortable throughout the day, as well as throughout the month. Acuvue Vita for Astigmatism is based on the same lens material used for Acuvue Vita, which features Johnson & Johnson’s latest technology in contact lens comfort. Before I delve into the features of Acuvue Vita for Astigmatism in more detail, watch this short video highlighting the key features of Acuvue Vita. First and foremost, what sets this lens apart from other brands is its HydraMax technology, the same technology used in Acuvue Vita (the spherical version). To people unfamiliar with contact lens technology, the use of the term ‘uncoated’ may be a little confusing. What are coated contact lenses, and why is uncoated better? Contact lens coatings were developed by contact lens manufacturers when they discovered that adding silicone to contact lens materials would make them a lot more breathable, and hence healthier for the eyes. These materials are called silicone hydrogels. The problem with adding silicone to contact lenses is that it makes the contact lenses a little stiffer, as well as hydrophobic. Hydrophobic means that water will not stick to the surface of the lenses, making them dry and uncomfortable for the contact lens wearer. To solve this problem, hydrophilic plasma coats were added to the surface of the contact lenses to make them more water friendly, and thus more comfortable for contact lens wearers. But these plasma coatings are not perfect, and after a few weeks of wear, they can start to disintegrate. This can lead to end-of-month discomfort for people wearing coated contact lens brands. Thanks to HydraMax technology, Acuvue Vita and Acuvue Vita for Astigmatism are made of a silicone hydrogel material that is intrinsically hydrophilic (able to be coated by water). This means that it does not rely on a plasma coating to provide good comfort, giving it better reliability throughout the month. Hydration is what makes contact lenses soft. When contact lenses dehydrate, they become very hard and brittle. Even small amounts of dehydration can be felt by the wearer, so it’s important that contact lenses are fully hydrated and stay that way. Not many details are available about how exactly HydraMax Technology maximizes hydration except that it incorporates the maximum amount of a hydration agent into the lens material. This hydration agent surrounds the silicone molecules in the lens which negates the hydrophobic effects of the silicone. It is this internal integration of the hydration agent that makes it such that the contact lenses don’t require an external coating. Over the course of a day, contact lenses tend to gradually lose hydration. 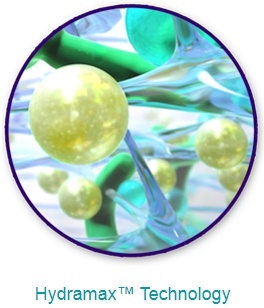 That is why HydraMax Technology incorporates natural tear lipids into the contact lens material. The idea behind incorporating these lipids in the contact lenses came from understanding how the natural protective layer of tears protecting our eyes work. 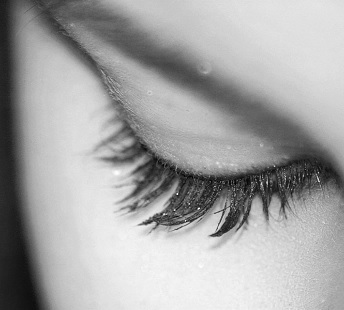 There are glands in our eyelids that naturally produce lipids which form an outer protective layer over the tear film. These lipids prevent the underlying moisture in the tear film from evaporating. So by incorporating these same lipids into the contact lens material, it also prevents the contact lenses from losing hydration throughout the day. For a quick summary of how HydraMax Technology works, watch this short video from Johnson & Johnson. The Blink Stabilized Design is not exclusive to Acuvue Vita for Astigmatism but has also been used for Acuvue Oasys for Astigmatism, Acuvue 1-Day Moist for Astigmatism and Acuvue Oasys 1-Day for Astigmatism. This patented design by Jonhson & Johnson is what has set their toric lenses apart from their competition for years. Instead of relying on gravity to position the contact lenses correctly, which only works properly if your eyes and head are in the correct position, it relies on your eyelids to position the lenses properly. Rather than delving into a long explanation about the physics of Blink Stabilized Design vs other designs, I will just share this video which explains it nicely and concisely. 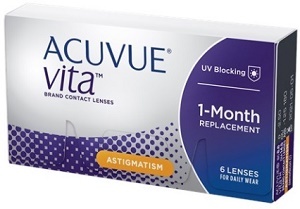 Just as all of its predecessors in the Acuvue family of contact lenses, Acuvue Vita for Astigmatism is UV blocking. It protects you from 93.4% of harmful UVA rays and 99.8% of harmful UVB rays. Having contact lenses that block UV rays from entering your eyes protects you from the harmful consequences of longstanding UV exposure such as cataracts and macular degeneration. Acuvue Vita and Acuvue Vita for Astigmatism are made with as thin an edge as possible for minimal interaction with the eyelids. If the edge of contact lenses are too thick, it can cause irritation under the eyelids, as well as unwanted contact lens-eyelid interactions where the contacts get pushed around every time the eyelid passes over them. 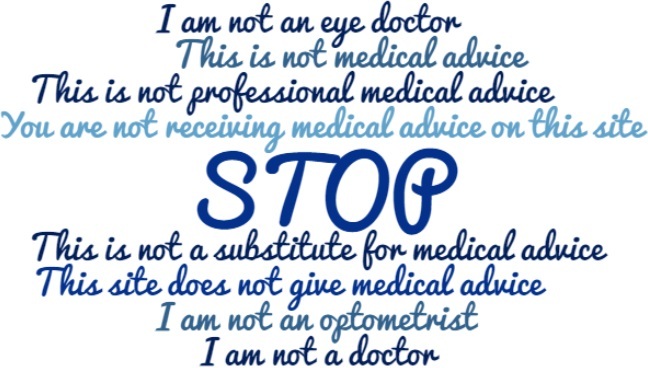 This leads to both discomfort and blurry vision. If you use either monthly or bi-weekly contact lenses for astigmatism and you’re looking for a brand that will remain comfortable longer throughout the month while offering consistently clear vision, Acuvue Vita for Astigmatism may be worth a try. Of course, despite its many advances, Acuvue Vita for Astigmatism will not be perfect for everybody, no brand will. But given the relatively limited options for people with astigmatism, the release of this brand will offer many people a fresh new option. If you have any experience with Acuvue Vita for Astigmatism, I’d love to hear about it in the comments below!